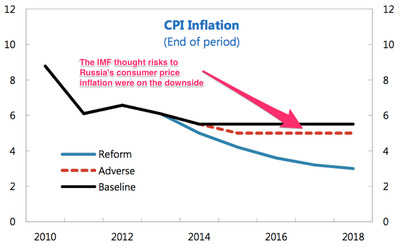 The Russian economy is in dire straits. 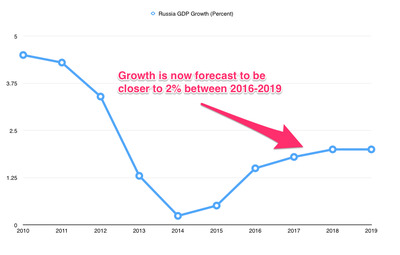 Growth is flatlining, the government’s budget is being squeezed and international sanctions over its role in the Ukraine crisis are combining to squeeze Moscow. 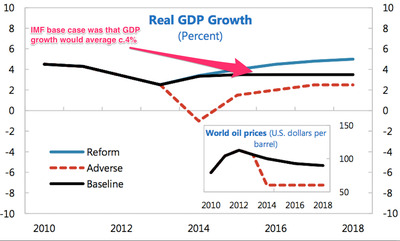 However, the reasons for the country’s decline predate its current crisis and have as much to do with long-term trends such as its ageing population and declining labour productivity as it does the recent collapse of the oil price (and with it the ruble). 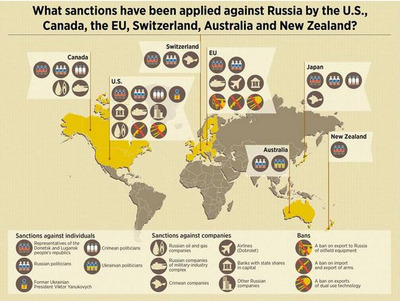 The choices faced by Russian policymakers are stark. 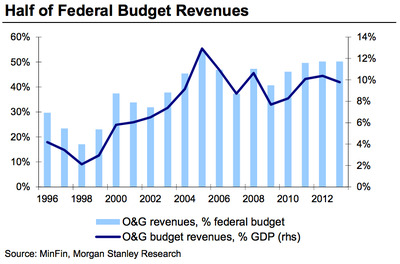 They can either attempt to fight the decline by spending the country’s precious foreign exchange reserves. Or they can let its currency float free and risk financial instability that could crush businesses. So far they have opted for the former. 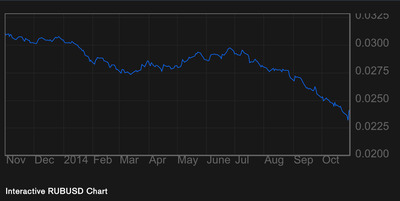 The central bank burned more than $US15 billion last month in an attempt to soften the ruble’s fall. 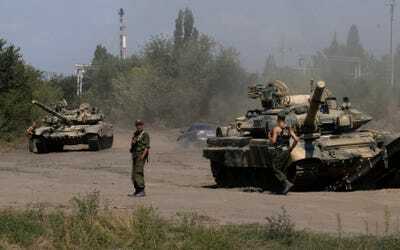 But it has failed to instill confidence either domestically or internationally. 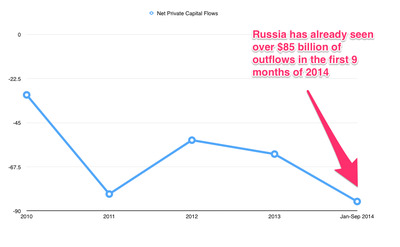 But Russia's problems go much deeper. 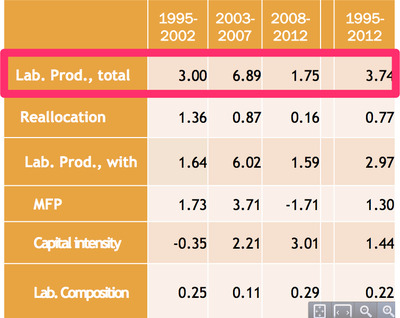 The country has seen a sharp slowdown in labour productivity growth. 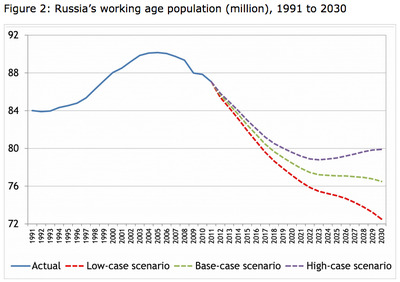 Which is a HUGE problem for Russia as its working-age population is set to go into freefall as the population ages. All of which should mean low inflation. 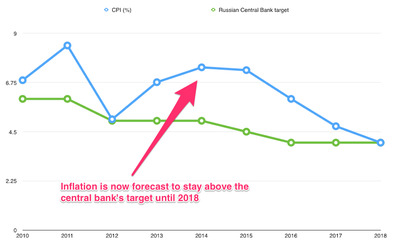 The Central Bank of Russia aims to keep inflation at around 4% over the next few years. 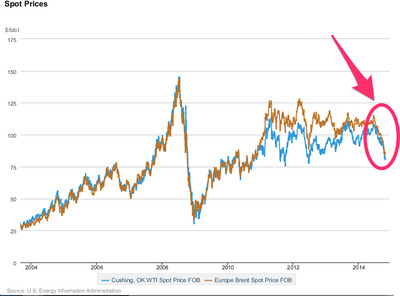 WTI and Bent crude oil prices. 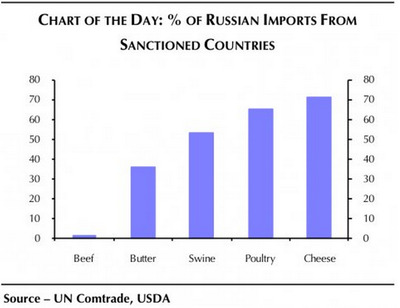 This is a big problem for Russia as the country relies on commodity exports for around half of its budget revenues and 10% of GDP. So when oil falls, investors get scared, and foreign money floods out of the country. 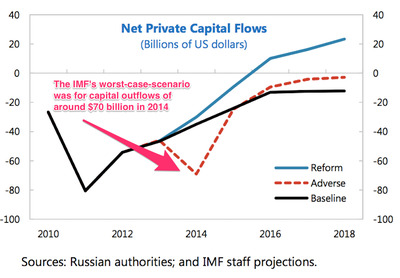 In one scenario which has oil falling to $50 a barrel, the IMF forecasts net outflows of around $70 billion. But even with prices still above $80 the reality has proven much worse than expected. 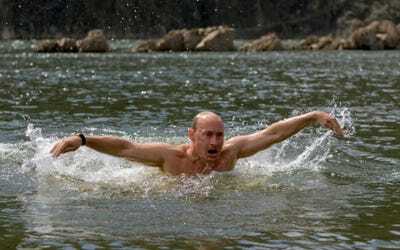 And with investors desperate to get out of Russia at any price the ruble is in freefall hitting record lows against the dollar and the euro. On Oct. 31 the Russian central bank raised its key interest rate sharply by 150 basis points to 9.5% in an effort to stem the tide of capital outflows. The risk now is that rising interest rates raises the cost of capital, and chokes off already sluggish growth. 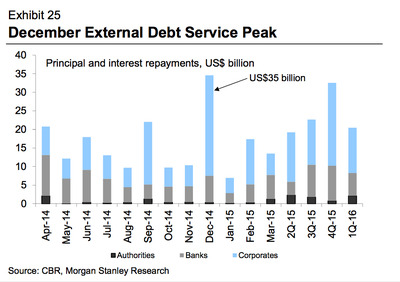 This will be a particular worry for Russian businesses which have to find $140 billion to meet their foreign currency debt obligations. 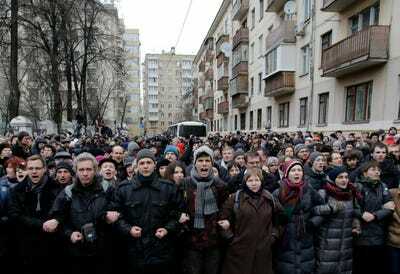 Russia may not be facing the type of collapse it saw in the late 1990s but President Vladimir Putin will be worried that a weak economy could reignite civil unrest.